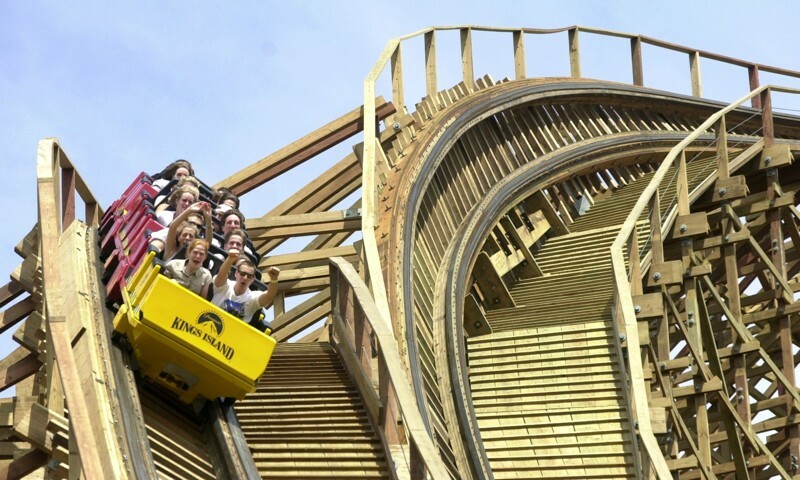 18 years ago, Kings Island opened Son of Beast, the tallest and fastest wooden roller coaster ever built. This coaster was most famous for featuring a massive vertical loop, making it the first modern wooden coaster to go upside down. Unfortunately, due to several manufacturing flaws, this coaster had a reputation for a rough ride and suffered many technical issues. These flaws even resulted in an incident that sent 27 people to the hospital after a cracked wooden beam caused the train to suddenly stop. After less than a decade of operation, this coaster was closed down in 2009 and later demolished in 2012. Since then, Son of Beast has become one of the most infamous defunct rides ever built, and one of the biggest flops in roller coaster history. However, after several years of infamy, this ride may be making a comeback. A few days ago a teaser flyer appeared at Kings Island. This flyer, shared by Emotional Roller Coasters on Instagram, gives quite a few hints at one of their most famous defunct coasters returning. 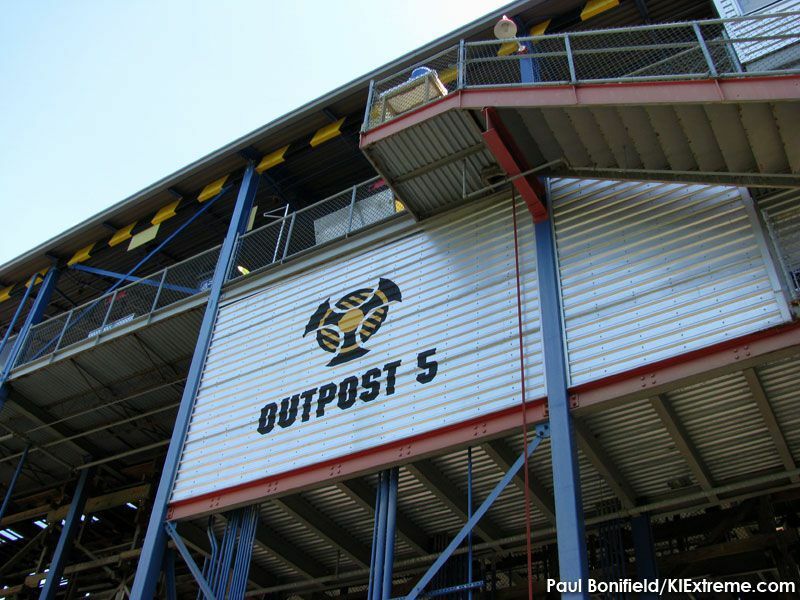 First up, there’s the obvious mentioning of Outpost 5, which was the name of the ride’s currently standing but not operating station. 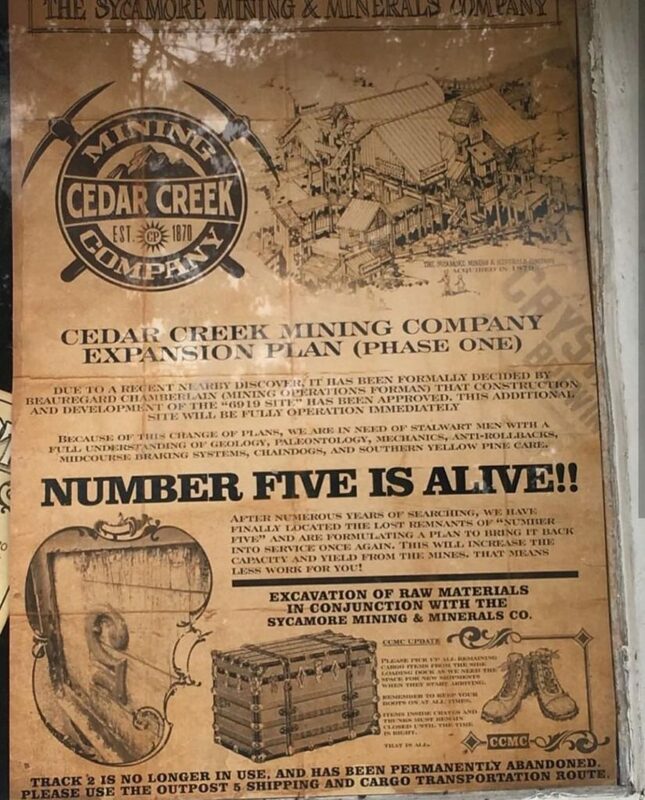 The flyer also mentions that after years of searching, the remnants of “number five” have been found and officials are formulating a plan to bring it back. Moreover, the flyer mentions “southern yellow pine” which was the exact kind of wood used to build Son of Beast. What’s even more interesting is the phrase “oak strong and iron bound” is used, which could indicate that the fine folks at Rocky Mountain Construction could be resurrecting the ride as a hybrid coaster. While Son of Beast’s original layout was criticized for its overuse of large helixes, Several fan-made rendering online show that an RMC rendition of the coaster has plenty of potential. As if this flyer wasn’t enough to indicate a possible return of Son of Beast, wooden planks have just recently been spotted under the ride’s memorial in the queue line of Banshee, the park’s B&M Invert. Why put this wood there now unless they were teasing something for the near future. Speaking of Banshee, some have made the argument that that it would be impossible to rebuild Son of Beast since Banshee uses some of the ride’s land. While this is true, there is quite a lot of empty space in that area, so who’s to say they can’t rotate the coaster’s layout while still reusing the station. While many Kings Island fans are anticipating a Giga to be the park’s next major coaster, a beefed up reboot of Son of Beast would certainly generate a plethora of buzz. It would make headlines not only the enthusiast community, but to long time fans of Kings Island who remember the failed coaster. As Defunctland’s hit video documenting the coaster shows, there are quite a lot of people curious about this old attraction, and bringing it back as a more functional and exciting coaster could make it an A-list attraction for sure. Overall, while absolutely nothing has been confirmed yet, the clues given by the park certainly indicate something big in store for kings island. Or they could be trolling us. Happy 4th of July everyone! Kennywood promised an Independence Day surprise, and we certainly got one. 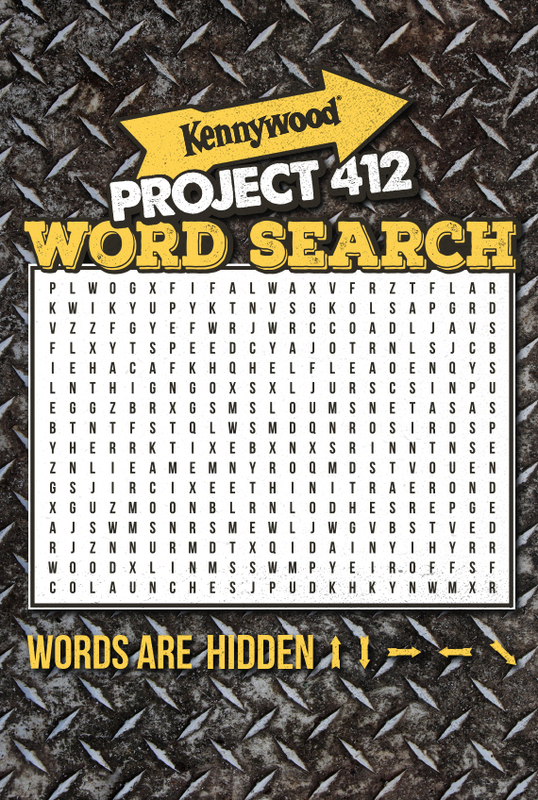 The park released a word search this morning to further tease their massive 2019 addition known as “Project 412.” This word search features several clues which link up to the several numbers the park released over the past few weeks in their scratch-lotto teaser campaign. In the word search below, you can guess what those numbers mean. The best part about this word search is that it’s part of a contest. The first twelve people to correctly match the numbers with the words will be among the first people to ride the new attraction. Will you be one of those people? Fill out the word search below and find out! Disney World Skyliner Gondola Revealed! Last year at Disney’s bi-annual D23 expo, the corporate giant announced they would be adding a new transportation system to their resort. 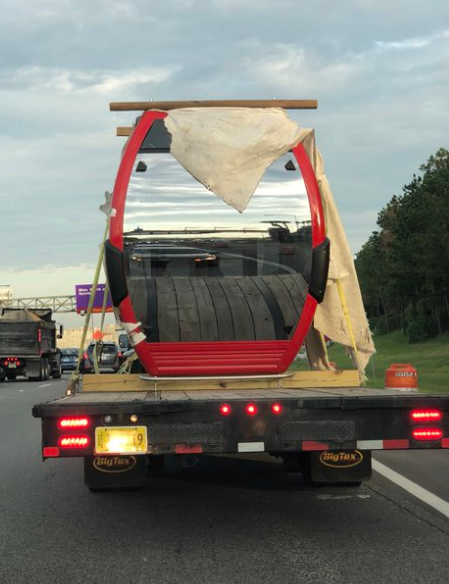 Seen below is a picture taken on a road heading to Disney World. Much like Magic Kingdom’s defunct Skyway attraction, this system will utilize gondola lifts to transport guests. However, instead of simply taking them from one part of the park to another, they will be able to go from resorts to parks. For example, guests staying at the Caribbean Beach Resort will be able to travel straight to Disney’s Hollywood Studios. Moreover, there will be another direct line that goes straight from the Riviera Resort to Epcot Center. The Skyliner system is scheduled to open some time in 2019. Put the Loud House on a Tagada!